There are good reasons for getting to know us. 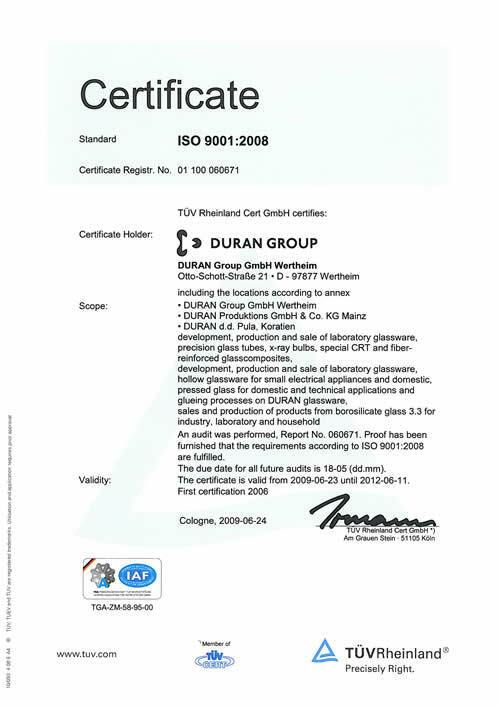 The DURAN Group is one of the world's leading manufacturers of borosilicate glass, a special glass invented by Otto Schott in 1887 and registered in 1938 under the trade name DURAN®. With sites in Mainz (DURAN Produktions GmbH & Co. KG), Wertheim (DURAN Group GmbH) and Pula (DURAN d.d. ), the DURAN Group has a complete value creation chain from the glass melting process right through to glass forming and processing. Over the last 70 years, DURAN® glass has proven itself both in laboratories as well as in industrial and domestic applications. At the same time our special industrial glass is used in numerous industries, amongst others, mechanical engineering, the electrical industry and medical technology. 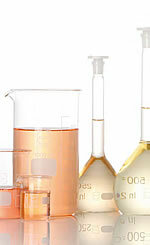 Well-known companies all over the world trust in the quality of our products and the creativity of our employees. Based on a close dialogue with our customers, we achieve solutions that meet individual requirements and permit highly precise applications in widely varying sectors. After its spin-off from SCHOTT AG and the acquisition by ADCURAM Group, the DURAN Group combines today the strengths of its long history with the constantly present visionary spirit of the inventor Otto Schott. 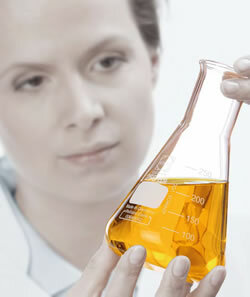 The unique precision involved in the manufacturing and processing of DURAN® glass is the foundation of our corporate philosophy and starting point for our day-to-day operations. We offer our customers the flexibility of a medium-size company combined with comprehensive know-how built up from many years of experience. DURAN Group. Magic of precision.